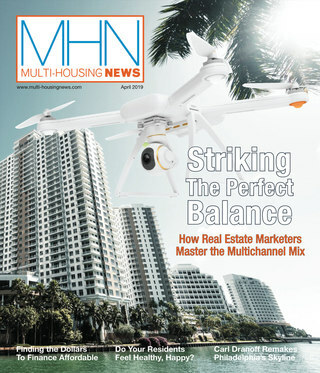 Achieving Security: Are Mall Owners Doing Enough? As the investigation into the deadly weekend shooting at The Mall in Columbia in suburban Maryland continues, security experts and property owners and managers are once again trying to determine if they are providing enough security for the public and whether or not changes need to be made. It also requires money. In 1996, mall owners spent on average about $400,000 a year on security. Nearly 20 years later, that number has risen to at least $1 million – and as high as $2 million a year for the largest facilities, according to Malachy Kavanagh, a senior staff vice president at the International Council of Shopping Centers. Security and retail experts agree that more time, money and attention has been paid to shopping center security since the 9/11 attacks, the increasing number of active shooter incidents at malls across the United States and the September terrorist attack on the Westgate Mall in Nairobi, Kenya. He pointed to a mix of technology, partnerships between retailers and law enforcement, preparation and ongoing training as keys to dealing with violent incidents and other security issues at shopping centers. Still, in the wake of the Maryland shooting, in which a gunman killed two mall employees before taking his own life, the question continues to be asked: Is enough being done to protect shoppers and employees? “There is a balance you have to strike at projecting a safe environment while not being overly intrusive about it,” Kavanagh said. For that reason, several experts told CPE this week they doubt we will see metal detectors at U.S. shopping malls or armed private security guards, both of which are more common in some parts of Europe and Israel. Greg Maloney, Americas CEO of Jones Lang LaSalle Retail, which manages a portfolio of 95 million square feet of retail centers in the U.S., said an increasing number of malls are hiring on-duty or off-duty police to supplement the private security forces. “They are trained how to react to these incidents. They do this 365 days a year,” he said. Mellor said some malls are also using more plainclothes officers that are trained intervention and behavioral specialists to look for people that might be security risks. Many malls are working closely with law enforcement throughout the year running lockdown drills and other training sessions at the shopping centers so first responders become more familiar with the facilities and employees know what to do in case of an incident. Officials in Howard County, Md., where the Mall in Columbia is located, said such drills had been held routinely at the 1.4 million-square-foot shopping center, and appeared to have helped in the response on Saturday. The ICSC, NRF and other industry associations, like Building Owners and Managers Association International, all work closely with the Federal Bureau of Investigation, Department of Homeland Security and local law enforcement to prepare and review security guidelines for shopping centers. Mellor said meetings are held several times a year, some of which are scheduled well in advance and others that occur soon after violent events have occurred to review what happened and see where improvements can be made. In November, a summit was held at a Maryland college near the Mall in Columbia because the DHS wanted to update retail and security executives on the September terrorist attack in Kenya. “Mall owners are taking a leap into the ownership of this and doing a much better job of collaborating with the retailers and law enforcement to talk about this,” Mellor said. Nesbitt, who consults on security for retail and other commercial facilities, said video surveillance is a great tool – if it is used correctly and efficiently. Security officers need to be constantly monitoring the video screens, he said. Mellor noted that in the Maryland case, security guards stayed with the monitoring systems to keep law enforcement apprised of where the shooter was in the mall. Property owners also need to invest in updated software that can provide video analytics to track aberrant behavior or spot a bag or box that has been left sitting unattended, Nesbitt added. Mellor noted that some mall operators and retailers, both large and small, have very sophisticated closed-circuit systems with high-quality imaging that they are starting to make available to law enforcement, accessible via a password in an emergency. “It’s being discussed. It’s being utilized. But it’s not widespread,” he said. One lesson learned from the Kenyan mall attack was the importance of hardening the mall security offices to prevent a takeover by the intruders. Mellor said more property owners need to make those improvements. But look for upgrades in communications systems designed to better alert shoppers and employees when an incident is occurring, Mellor and Kavanagh said, noting that some pilot programs are underway to test text alerts and emails. “Technology is providing real tools if people take advantage of them,” Nesbitt said. 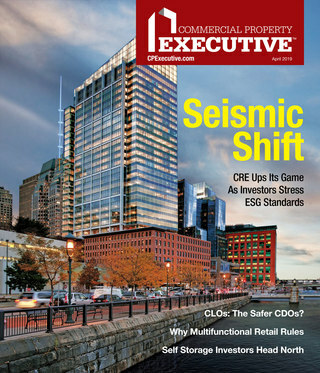 Yesterday, CPExecutive.com featured a focus on “Emergency Response: The Changed Mindset at Malls.” And look for further coverage in the March issue of Commercial Property Executive.